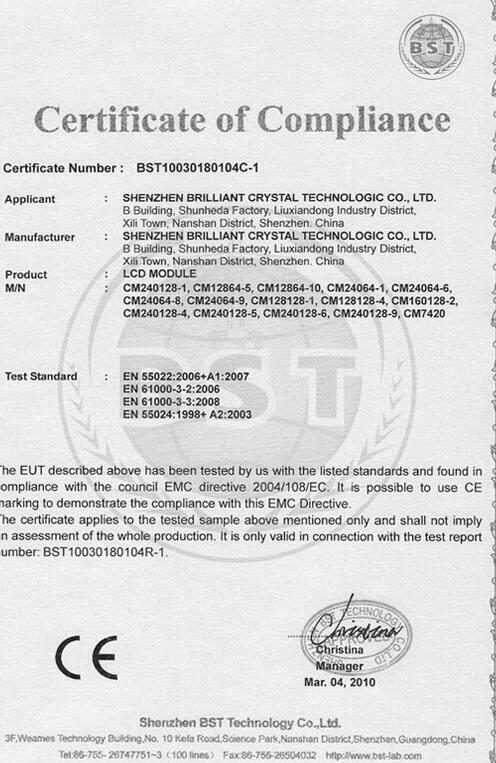 Company Overview - Shenzhen Brilliant Crystal Technologic Co., Ltd.
3YRSShenzhen Brilliant Crystal Technologic Co., Ltd.
With more than 15 years experience,Shenzhen Brilliant Crystal Technologic Co.,ltd became remarkably proficient in complicated order handling, especially on competitive price and high quality and service This is our most important core competence to fulfill customers' requirement and expectation.We provide products and services with high price-performance as well as the logistics support to deliver products and services competitively. 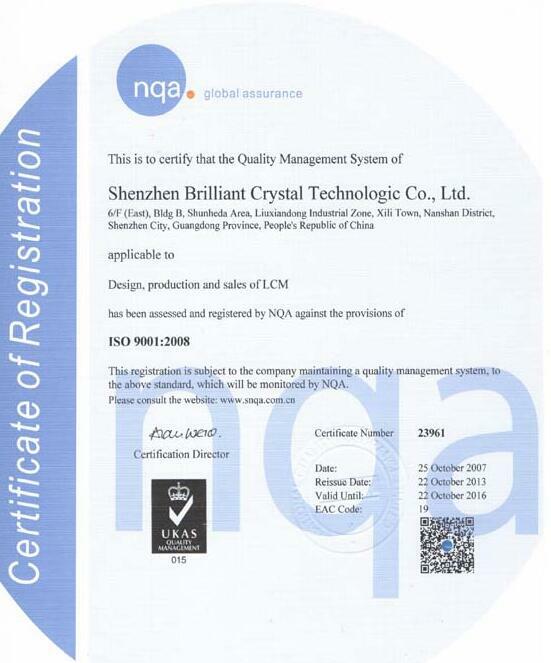 Shenzhen Brilliant Crystal Technologic Co.,ltd is an ISO approved for quality NQA ISO9001 manufacturer. 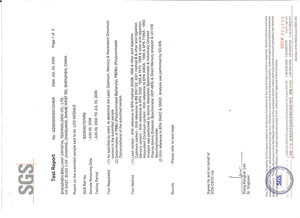 Qualified engineers and production management that making our product also becomes better and better . 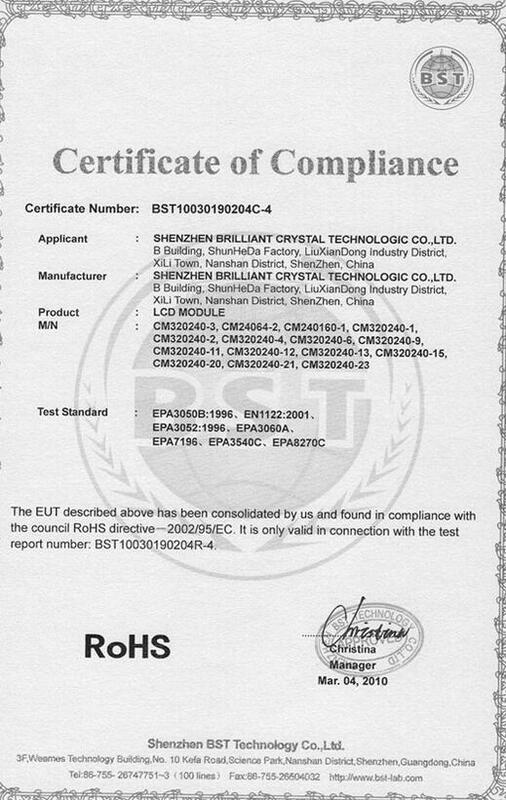 All our lcd modules has passed CE,ROHS,SGS and othe domestic certificates. As a leader manufacturer in the display module market, We will continue to dedicate the research & development, design, of new technology of LCD, TFT, custom displays.